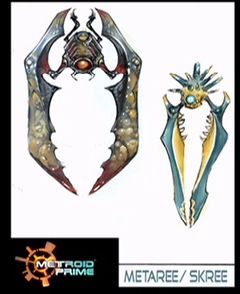 This page details one or more prototype versions of Metroid Prime. 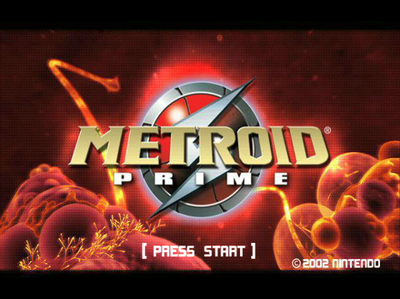 In 2002, Nintendo released Version 7, 8 and 9 of their in-store kiosk disk, which included a Metroid Prime demo. Most notably, the title screen is much darker (due to the "scanlines") and the logo in the center is different from the final version. There is no file select screen because this is a demo. However, videos of the transitions from main menu to file select screen, etc. to etc. exist in the final game's files. The prototype lacks a save function; all Save Stations are disabled. The pause menu consists only of a simple map viewer in place of the Inventory Screen. The "Opened doors" are blue instead of green and the "Closed/All Beams" Doors are white instead of blue. Also the player location "peg" is white and triangular instead of green and roundish. The world map in the demo is unfinished and contains remnants of an older world layout for the game. 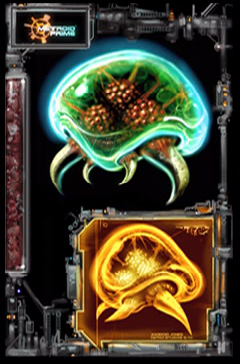 At this time, the world map only contains Tallon Overworld (middle), Chozo Ruins (bottom), Phendrana Drifts (right), and Phazon Mines (top). 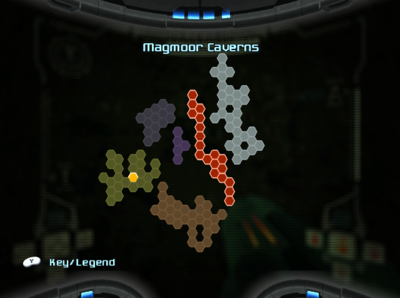 According to internal room names, Magmoor Caverns was once part of Tallon Overworld. It is unknown if the Crashed Frigate was implemented yet. 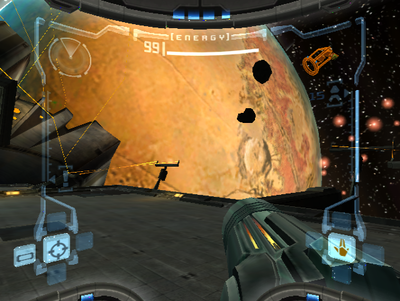 In the final, the HUD is much brighter, enhancing the 3D effect. The energy bar was changed, with energy tanks and the word "Energy" being moved from the left to the top of the HUD. The beam icons lack their respective colors and have a turquoise color instead. The edges of Samus' helmet are also different, being more curved than in the prototype. Blue lights were added to the bottom, and the frame was brightened. 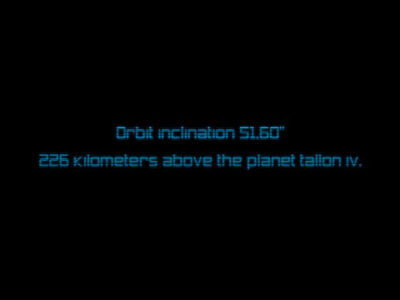 In the prototype, the message in the opening reads "Orbit inclination 51.60" 226 kilometers above the planet tallon IV." 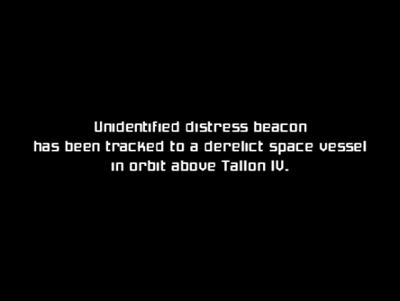 and has a different, blue-coloured font, while in the final version it reads "Unidentified distress beacon has been tracked to a derelict space vessel in orbit above Tallon IV" in a white font different from the one in the prototype. 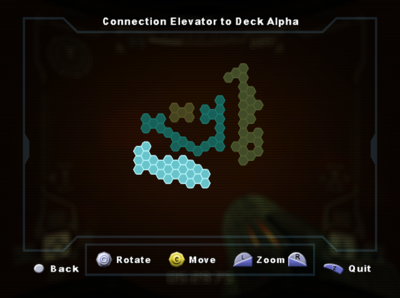 Add images of the final game's beams and visors for comparasion. All beams in the prototype vary somewhat from the final version. The Ice Beam takes longer to start charging. It takes approximately 2 more seconds to start. Samus starts in the Frigate equipped with the Ice Beam; she does not have this beam here in the final. Additionally, its position is on the right (where the Wave Beam would be in the final). Has a different texture than the final. Its texture is more like fire than magma. The Plasma Beam's charged shot is a slow ball of fire, unlike the final's large "beam". The slow ball of fire follows the nearest enemy without having to lock onto that enemy. The charging animation for the Plasma Beam is incomplete. 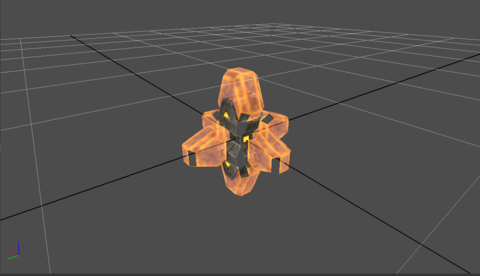 The Plasma Beam is missing many of its sound effects and has a different firing animation for its charge shot. An uncharged Plasma Beam shot lasts much longer than the final version, giving it a much slower rate of fire. It also seems to prolong the animation of whatever it hits; this is most noticeable when used on Parasites. Collision detection involving it seems off; it has a tendency to "miss" completely and it sometimes fails to burn enemies. The Wave Beam seems to be unable to damage Auto Defense Turrets, instead of disabling them immediately. Does a lot more damage when compared to the final; two uncharged shots can quickly dispatch a Space Pirate. The charging animation for the Wave Beam is incomplete. The Wave takes longer to start charging. It takes approximately 2 more seconds to start. The Wave Beam functions slightly differently from the final version; uncharged shot fire 4 shots in a plus pattern rather than the final's 3. 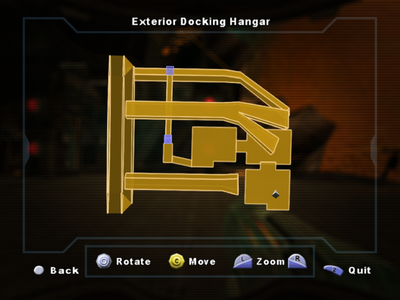 A screenshot on the demo disc shows that this was a later change. Missiles work slightly differently from the final version: the Y button activates missiles. Pressing Y again in "missile mode" fires a missile. This behaviour was removed in the final. Power Bombs can only be used whilst the player is completely still. Upon use, the player cannot move until the animation ends (playing the "Game Over" sound at the peak of the explosion). Presumably, this would have been used to test the death animation in Morph Ball mode. Bombs have a different explosion effect from the final, resembling a lingering blue orb. Charge Combos are present and work as they do in the final version, though they have a different (and much longer) start-up animation. Missile costs are lower than in the final; all Charge Combos use 5 missiles to fire as opposed to 10 (5 for the Super Missile) in the final. You start with all beam combos by default, even though you don't start with the beam that has that combo. All charge combos besides Plasma Beams's aren't any different. The Flamethrower is somewhat buggy and does not work as intended. Scanning takes a fair amount longer than in the final. All Scan Points use the orange icon, whereas the final has both orange and red points. The game does not pause upon completing a scan. The dialogue box that displays text is mostly silent in the final. The Logbook presumably is disabled for the demo; no scans are recorded to it. The scan text seems to be different. The Thermal Visor uses a different palette from the final, consisting of colours ranging from red to blue. Additionally, its sound effect is different. Additionally, there is a static effect over the screen and most of the visual elements are missing, except for visors and beams. The Thermal Visor's beeping noise that it plays when equipped seems to be different. The X-Ray visor has an old, runic/ancient circular look. The X-Ray visor targeting reticle is always visible. Also, the roundish dashes around the reticle move left or right around the reticle depending on which way you turn the visor. 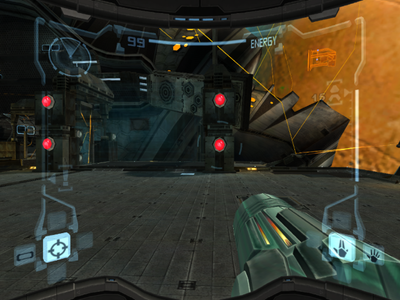 The X-Ray visor's HUD is circular, with the warning indicator and missile count around the circular HUD. The X-Ray Visors palette doesn't seem to make things transparent, such as the arm cannon. 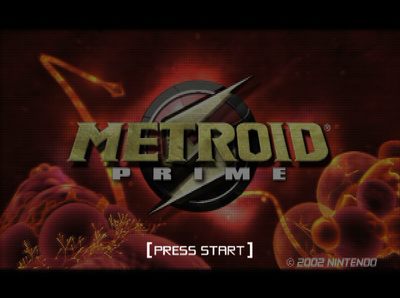 A variation of this early logo (without the subtitle) appears in image 6 and 7 of the Metroid Prime gallery on the "Nintendo GameCube Blockbuster Preview Disc 2002" DVD. No other worlds (like Phendrena drifts and Tallon IV) are present on the disc. No "extra" rooms are included in the Space Pirate Frigate. 00372C4B 00000001 Wave Beam Fires four shots instead of three. 00372C53 00000001 Plasma Beam Uses different textures to the final version. Animations and sounds seem unfinished. 00372C83 00000001 Thermal Visor Uses a different palette and SFX from the final version. 00372CA3 00000001 X-Ray Visor Does not work correctly. When switching to it, the game appears to be unable to read data related to the Visor and crashes. including the X-Ray Visor (0x01), which gives approximately one second of correct x-ray vision before it switches to the Combat Visor. 00B87BC6 00000099 Make X-Ray visor work You must be in emergency evacuation area where the injured space pirate is. As mentioned above, this area of memory holds several more flags and values that toggle or otherwise change the available equipment, such as the current amount of Energy Tanks. More information about equipment (maybe? ), maybe more about this memory area. 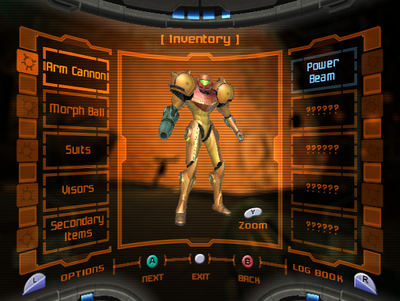 An early version of the Varia Suit featured pads on the left hand. An unused pick-up model with an unknown purpose. These models were used in the demo, but not in the final game. 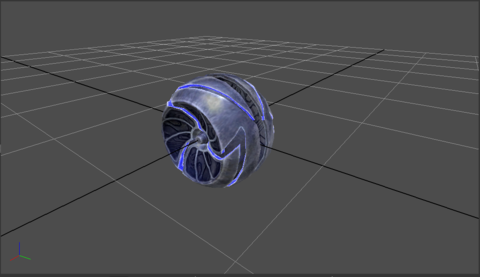 A morph ball exclusive to the demo. The color scheme suggests it's meant for the gravity suit, however there is no further evidence to support this theory. An enemy named Sova that appeared in the demo but never made it to final. Wave and Plasma Beams, respectively. While the inventory screen is not accessible, there are unused strings for it, containing descriptions of some items. This video shows how to do a glitch in the room "Bio Tech". This glitch is not present in the final game. This page was last modified on 19 September 2018, at 18:53.